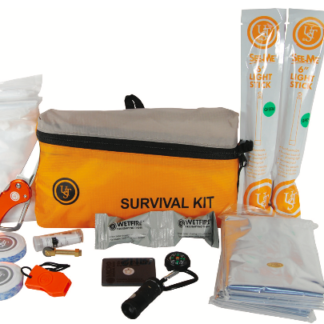 The FEATHERLITE SURVIVAL KIT contains an assortment of essential supplies you may need in an emergency. 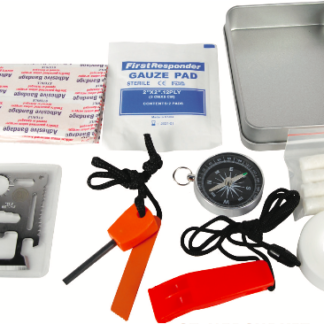 Keep this kit at home, in your car, RV, on your boat, or in your pack so you are always prepared. 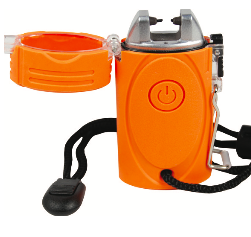 The contents are stored inside a lightweight bright orange pouch that makes is easy to locate. 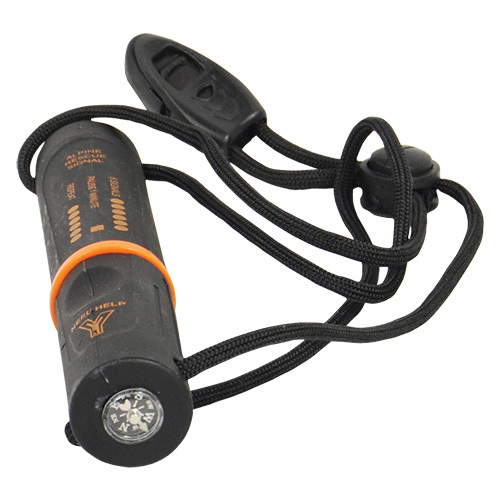 It’s a compact pouch for convenient storage. 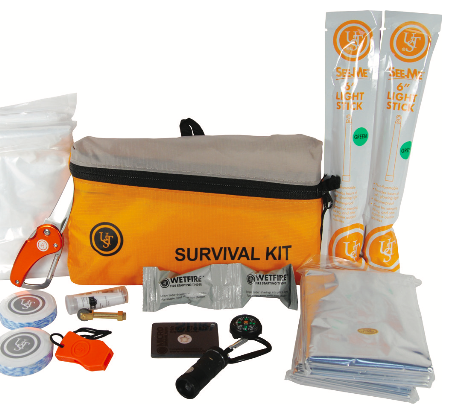 Contents: 2 6″ light sticks, 1 button compass, 1 emergency whistle, 1 spark wheel, 2 emergency ponchos, 2 survival towels, 1 mini ashlight, 1 signal mirror, 2 wet re tinder, 2 emergency blankets, 1 carabiner knife, 1 instruction sheet. 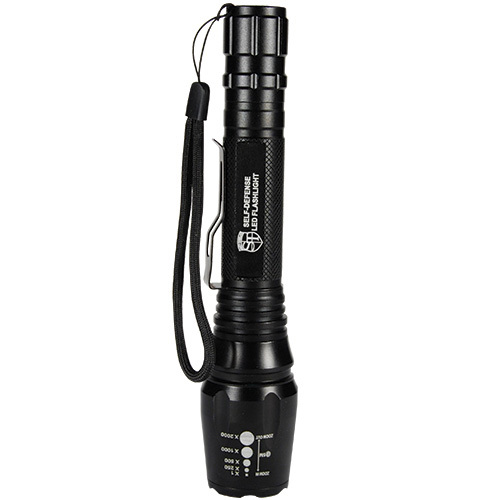 Weighs 13.6 oz.